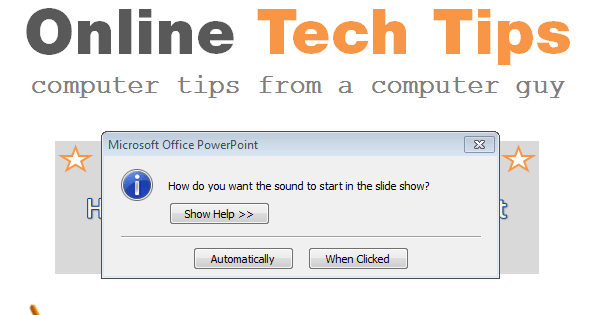 Adding music to a PowerPoint presentation is a very simple process, requiring only a couple of steps to complete. Music will not only give your presentations more appeal but grab the attention of the audience as well. For this tutorial, we will be using Microsoft PowerPoint, Windows Edition. If you do not have PowerPoint, you can download free trial here. After you are all ready to go with PowerPoint, go ahead and launch it from the start menu or by double click the PowerPoint icon on your desktop. If you are starting a new project, type a title in for your presentation. 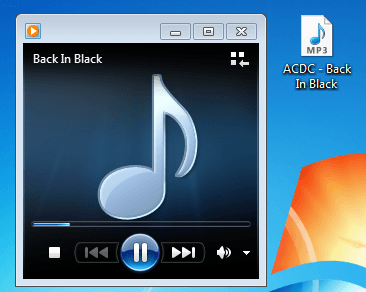 If you want to add music to an existing presentation, open it by clicking the office button than open. Click the Insert tab located along the top PowerPoint toolbar. This should bring up several insert options for your presentation. Locate the Sound icon, located on the far right of the lower toolbar, and click the arrow near it to bring down the sub menu. From here, you will notice the options: Sound from file, Sound from clip organizer, Play CD audio track, and Record sound. You can choose whichever option that you would like. For this presentation, we will be using the Sound from file option. The next step will be somewhat different, depending on which option you choose. However, it’s very simple and only requires you to find or create your audio file. For this tutorial, we chose to use the Sound from file option. So, we will need to navigate to our audio file and click the OK button. The next step will automatically bring up a prompt window asking you how you want the sound to start in the slide show. There are only two options: automatically, or when clicked. For this tutorial, we will use when clicked. There should now be a small speaker icon located somewhere on your current slide. Double click on the speaker icon, and your music should start playing. If you selected the option to play the sound automatically, you can test to see if your music is working by previewing the slide show. To do this, click the Slide Show tab located on the top PowerPoint toolbar and click the From Current Slide icon. After you are done testing your music, you can hit the esc key to exit the slide show.